With the re-release of so much classic material from Wizards of the Coast like Dungeons of Dread S1-S4 and Against the Slave Lords A0-A4, as well as all the PDFs on DnDclassics.com it has never been easier to try your hand at classic adventures that helped establish the game and the hobby. My one issue with playing the classics is having to deal with all the quirks of 1e AD&D. I’d rather not have to deal with separate saves for Petrification, Spells, Wands, etc., descending AC, THAC0, and the like. It is no secret I’m a big fan of Dungeon Crawl Classics, which I feel combines the best of old school style with the benefit of picking and choosing the best mechanics of all the versions of D&D from the past 40 years. My current mission is to convert S4 The Lost Caverns of Tsojcanth for DCC levels 4-5. I listened to the recent Spellburn Podcast (which you should definitely check out if you like DCC) and they mentioned that roughly 1 DCC level equals about 2 AD&D levels. Thus, with the original adventure for character levels 6-10, I think it should be a good match. My plan is to have the players start at 4th level, then level up to 5th when (if?) they reach the lower caverns. I also plan on having them start out with one +1 and one +2 item. Whether that item is a weapon/staff or armor is up to the player. I can’t wait to use the very cool magic item creation tables in DCC for both wizard staffs and magic swords. To quote from the DCC RPG book for those unfamiliar, “There is no such thing as a ‘generic’ magic item. All magic items are unique.” When creating a magic item, you roll on a bunch of tables to determine its intelligence, alignment, motivations, banes, and special powers! I’ll also encourage the players to name their weapons and either create or roll back-stories (yes, there is a table for that) as to how they were created and previous owners, etc. Here is a sample sword: Neutral Long Sword +2, Int 11, Empathic, 3 banes (Serpent – festering wound +1d6 dmg, +1d4 dmg next round, Undead – +1 Crit threat range, Giant – Unerring throw, can be thrown 60′, returns to hand, regular melee dmg) , Special purposes – bring balance to a specific place – Live alone as a warrior-hermit, sheds light 20′ at-will, detects gems within 30′. Now THAT is a magic sword! I think most monster and save conversion will be fairly easy. For converting descending ACs to ascending, I plan on subtracting 20 from the current AC and making the result positive, i.e. AC 4 becomes AC 16 (4-20= -16). Most saves seem somewhat arbitrary in AD&D (Ah yes, a rockslide. Save vs…..SPELL!?!) So for those I’ll just use what has become common practice in 3.5, Pathfinder, and 4e: Poison vs. Fortitude, Charm/Sleep vs. Will, Lightening/Fire vs. Reflex. I can’t imagine how this was a tournament module, as the scope just seems daunting to try and accomplish in even an all-day session. For publication, Gary added a very detailed and sprawling wilderness section that was not included at the original Con version, but even still, he does advise this will “likely take several gaming sessions.” It will be a few weeks before we gather our band of treasure seekers and take a delve. Be sure and check back to see how it went! 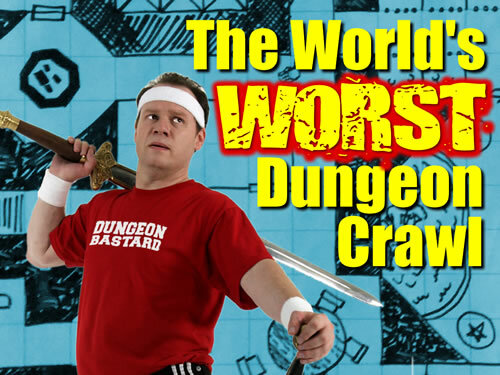 The World’s Worst Dungeon Crawl! (http://kck.st/17NKgRS) – The name says it all! Drag your minions into the depths of a dungeon that is sure to be terrible, but terrible in a comedic way. Robotech RPG Tactics (http://kck.st/10kBVaN) – I am excited about this one. One of the first RPGs I owned when I was a pre-teen was the Robotech RPG from Palladium Games. There was an absence of affordable figurines at the time and now they come out with this! This may be the game that gets me more interested in wargaming styled RPGs. Golden Sky Stories: Heartwarming Role-Playing (http://kck.st/11lNSZ8) – This one is billed to be kid-friendly. I have been looking for one such as this to get my daughter more interested in RPGs and this one may be the one. Sovereign Stone: Pathfinder Edition (http://kck.st/17cgjfQ) – Larry Elmore! That is all. Well, and that I think the setting may be awesome! Torchbearer (http://kck.st/ZVr5q9) – Another dungeon crawling masterpiece; I just like this one. Cartoon Action Hour: Season 3 (http://kck.st/13SgiM5) – As a child of the 80s, I grew up on Transformers, GI Joe, Thundercats and the like. With a generous amount of dungeon crawling themed offerings on Kickstarter, this is a refreshing change of pace that heavily appeals to my nostalgia. Deluxe Exalted: 3rd Edition (http://kck.st/15OgwZr) – This one will be very good. I am very interested in looking more into the system and the world of Exalted. OVA: The Anime Role-Playing Game (http://kck.st/13hF9u0) – Another ‘refreshing, change of pace’ offering, this one visually looks stunning and makes me want to color my hair blue, or maybe just watch some anime. When I started playing D&D in the late 80s, I was the youngest kid on the block. One of my friends showed me these crazy looking dice, we sketched out character sheets on notebook paper, and very likely followed very few of the rules. I did learn what Armor Class is, and what Hit points are, and had a fantastic time. I was just young enough to miss most of these classic adventures gathered in Dungeons of Dread, but interestingly I did pick up White Plume Mountain in a garage sale when I was a teenager, not even really understanding what I had. Unfortunately that was sold along with so many other treasures from my childhood in the “going off to college” garage sale. In my RPG renaissance of the last few years, I’ve had a great time gaming with a bunch of different guys, but of the main Skyland Games crew, I’m still the young kid on the block. Most of these guys have played D&D almost since the beginning, and have shelves of books and some of these very adventures. I would hear war stories from The Tomb of Horrors, or Expedition to the Barrier Peaks, but had never played them myself. This collection offers a great opportunity to immerse yourself in D&D lore by collecting classic, iconic adventures written by the pioneers of the game. It includes the lethal Tomb of Horrors, the quirky and memorable White Plume Mountain, the zany gonzo Expedition to the Barrier Peaks, and finally a little taste of Greyhawk in The Lost Caverns of Tsojcanth. This hardback format is great for looking through and preserving these in an archival sense, but would be pretty difficult to run from. One of the benefits of the old modules is you can lay them flat behind a DM screen, and show the players the illustrations a bit easier. Also, the maps are at the end of the adventure, so if you are trying to run one of these for a group, I would suggest investing in some page flags so you can easily find those sections while flipping between maps, illustrations, and room descriptions. Fortuitously, Wizards has released the illustrations for the modules as stand-alone PDFs, making them a lot easier to show to the group. Hopefully, they’ll do something similar for the maps! The maps are in black and white, which I understand from a printing perspective, but they could have earned some serious nostalgia points if they used the original D&D light-blue that was so iconic of the old maps. If you’re one of the old-guard grognards or a collector and own all these in their original print form, there is no sense purchasing them in this form. If you just missed the boat, or have heard all the old guys talk about how it was when THEY started playing, this is for you. I really enjoy having it on my shelf for reference and inspirational purposes, and look forward to adding the next archive to the shelf, Against the Slave Lords! Here is the short review: Creatures, Critters and Denizens delivers a whole lot of bang for the buck. Now the long review: Weighing in at 251 pages for $9.99 (PDF version) or $14.99 (Print on Demand) This is a whole lot of material for not a lot of money. Detailed within are really nicely done stat blocks for mundane creatures like dogs and chickens (helpful in the funnel if your farmer peasant starts with an animal, or wizard familiars) to the most fantastic mutants, demons, and fey creatures you can imagine. Also included are a lot of optional rules and the methodology that was used to create these creatures, so you can create your own. This book has a very authentic old-school feel to it, which is good in some ways, bad in others. The book has a lot of flavorful black and white drawings illustrating many of the beasties within. Unfortunately, it looks like they have been “enhanced” with lens flares and blur effects, which may be a matter of taste, but I find pretty annoying. It makes it look like someone was using a color scanner and the lid has some light leaks, so the scans of what would be excellent black and white art are kind of ruined. Its a shame too, because a lot of it would be really cool without the effects. Also some of the layout is a bit crowded compared to most recent books, but again is true to the old-school feel of 1st edition books. To Cognition Pressworks’ credit, they do pack this book to the gills! The actual critters themselves are really well presented with a lot of flavor text and back story for each entry, as well as relative sizes for hatchling, juvenile, and adult versions of several of the entries. This allows for putting some version of the creature you want, at an appropriate level of difficulty for the party you have; Very handy! It also includes some stats you wouldn’t think you would need, but who knows? Maybe you’ll need to know how much a small raccoon can carry, or drag, or … lift. It is possible! This again, leads to it’s old-school mentality which is both quirky and endearing. Overall this is a solid buy. It is a TON of material for the money, and works well to augment the creatures available in the Core DCCRPG book. It also allows you to peek behind the curtain and use the same approach to create your own monsters for your adventures to face. Support DCCRPG and support 3rd party publishers! It is no secret I am a big fan of Dungeon Crawl Classics. 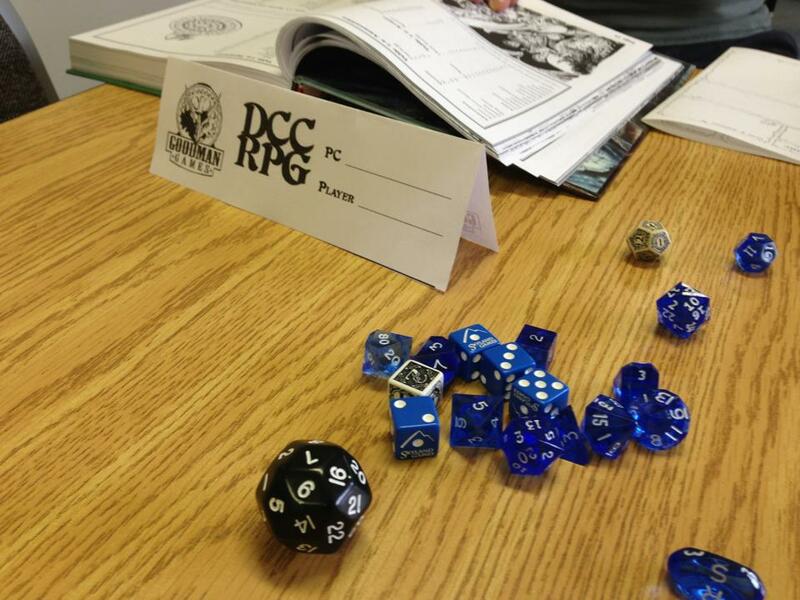 Recently, Goodman Games has launched the DCCRPG World Tour which is a schedule of cons in which you can try DCC for yourself at a gaming convention near you. Simultaneously, they launched the Road Crew program, which rewards GMs for organizing games at their Friendly Local Gaming Store. Since I have collected all the modules I was eager to put them to good use on new players. Luckily we have a really accomodating FLGS with excellent gaming space in The Wyvern’s Tale. For those interested in the Western North Carolina area, I’m running games every Sunday from 3pm-7pm at the ‘Tale. To reserve your spot, be sure and sign up at the warhorn. The first week was a bust. I just read about the program, talked to the guys at the ‘Tale, got the game posted, and sadly no one showed up. Since then, I talked it up amongst my gaming buddies, and made sure it was on the gaming schedule for anyone who was interested. The second week was a little better. My swag box just arrived from Goodman Games, so I was armed with bookmarks, buttons, pens, and ribbons to hand out to potential players. I also took the liberty of creating table tents and had printed out plenty of character sheets. I had one guy sign up on the warhorn, who sadly couldn’t make it, but I did have a walk-up who was really excited to try it out, and immediately liked the old-school feel and loved the idea of rolling on tables for his character name, occupation, and title. Completely randomly, he was rewarded with a dwarven blacksmith named Mnar the Grand-Defiler! Not bad for letting the dice fall where they may. We waited for a bit, and I tried to talk it up with anyone else just hanging around the store, but couldn’t get anyone else to bite. We decided to run two 1st level PCs each, and got underway with #67 Sailors on the Starless Sea. The party consisted of a Gambler Fighter named Matsognir the Vindicator, a Urchin Cleric named Izdren the Pontiff, a ropemaker Thief not named anything at all (we just called him Nameless; he likes to keep a really low-profile. After a very bad disarm traps roll, he became Nameless the Nine-fingered), and of course, Mnar. In about 3 hours, we created his character, and got through about all the stuff on the surface of the keep (I won’t give away any module spoilers here). As we were descending the stairs to get below the keep, we were exploring the first room, and sadly my player had to go. He had a great time, and was telling his buddies all about his exploits (who were playing warhammer 40k in the other room). I loaded him down with free swag and made sure he kept his character sheet and table tent for next week. I plan on running week in and week out to try and expand the audience and awareness of the system. The next big event at the Wyverns Tale is Tabletop day! There will be a ton of different games being played, and we’ll be streaming video to the web as part of the celebration of international tabletop day on March 30th. I, of course, will be running DCC. Look for me on the video stream! 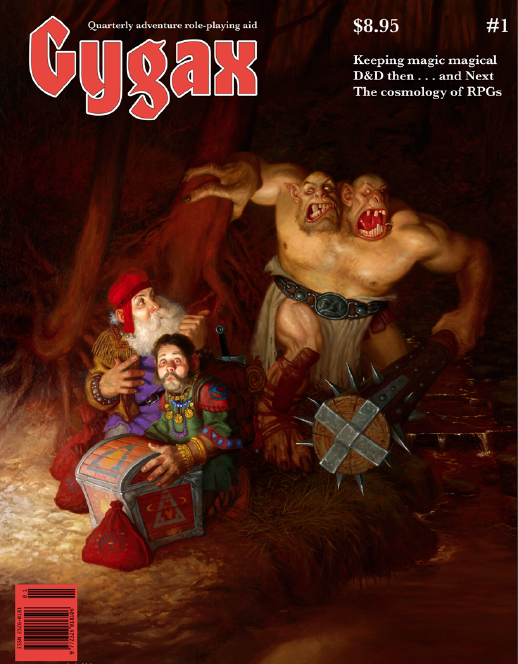 If you love roleplaying games (and if you’re reading this, you probably do) do yourself a favor and subscribe to Gygax Magazine. I really enjoyed any issue of Kobold Quarterly I could get my hands on. I even wrote about it here. To my eternal shame, I never actually subscribed and in the meantime, KQ has printed its last issue. While I didn’t personally have a Dragon magazine subscription, I have since perused old issues and developed a real appreciation for what that publication did not only to grow Dungeons and Dragons, but to increase and diversify both the audience and the genres for RPGs as a hobby. Gygax magazine is pitch perfect in every category as far as I’m concerned. Not only was the staff wise enough to bring on Wolfgang Baur (the kobold-in-chief) and provide a corner for KQ material, they went back to the classic format of Dragon magazine both in layout and design. First and foremost, the classic oil painting cover featuring a fantastic but also humorous situation, using the same font as the old Dragon for the title, as well as similar text in the upper right of the price and few articles within. Inside, the contents page is formatted almost exactly like issues from the mid-80s, and the articles are formatted in triple columns and fairly plain titles. It just feels… right. One of the most fascinating articles was about the cosmology of RPGs by James Carpio. James has done a great job breaking down the different waves and movements in the RPG hobby into stars in a galaxy. This includes a really cool two-page graphic depicting most of the major RPGs and games that use the same type of mechanics or design ideas. It’s a really cool graphical representation of the games over time and may help you find some cool games you missed. My favorite thing about the magazine is it’s inclusive feel, taking on all game systems and all types of players. There are articles that would appeal to old-guard gamers about improv DMing, and bridging generations. There are nitty-gritty articles that break down which is mathematically statistically better: +1 damage or +1 to hit? There are cutting edge articles talking about the future of gaming, and online table tops. Essentially there is something for everyone! Towards the end of course, there are the comics! Classics like Order of the Stick, as well as What’s New with Phil and Dixie, and one that was new to me, Marvin the Mage. All and all, I can’t recommend it highly enough. Don’t let this magazine fail! 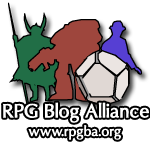 Subscribe and support an excellent resource for roleplaying games!